Scammers stole more than $2.2 million from Australians after flooding the phone lines with calls claiming to be from the taxman. According to Australian Taxation Office (ATO) figures, more than 86,000 phone call scam attempts were made between November and January. Of all the scams reported to the department, of which roughly five per cent came via emails and texts, more than a third of payments were made through Google Play. In January, iTunes, Bitcoin and Google Play accounted for the majority of losses, equating to 83 per cent of the total amount paid - a similar trend seen in December and November. The biggest wave took place in November, when tax payments are due. During that month, 37,000 scam calls were reported and more than $1.1 million was paid to fraudsters. Although the numbers fell to 23,237 calls made and $500,00 stolen by January, it remained significantly higher than the previous corresponding period - whereby 1873 calls were reported and $40,000 lost. 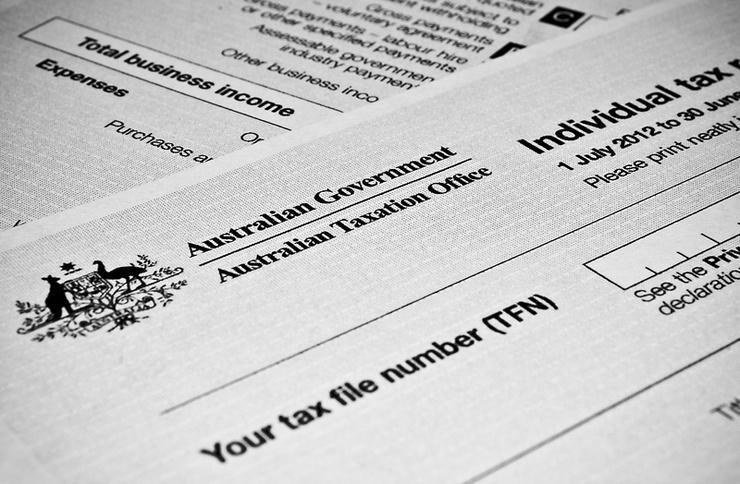 Referencing the latest figures, the ATO highlighted an emerging con whereby scammers send fraudulent SMS messages to people asking them to click on a link and hand over their personal details in order to obtain a tax refund. “This scam is not just targeting your money, but is after your personal information in an attempt to steal your identity,” ATO assistant commissioner Karen Foat said. Although the ATO does use phone, email and SMS to contact people, the department warned against a number of scam tell-tale signs. These include requests to click on a link or provide login, personal or financial information, or to download a file or open an attachment; aggressive or rude behaviour, or threats of arrest, jail or deportation; payment requests via iTunes or Google Play cards, pre-paid Visa cards, cryptocurrency or a personal bank account; fee requests to release a tax refund. Recent figures from Scamwatch revealed that 49,000 personal information scams were made in 2018, costing a total of $8 million. Meanwhile last August, the Australian Competition and Consumer Commission (ACCC) said more than $4.4 million had been lost through remote-access scams, whereby fraudsters impersonate companies such as Telstra, NBN Co or Microsoft to gain computer access. The Australian Communications and Media Authority (ACMA) has now unveiled plans to crack down on telecommunication scams by investigating scam technology while considering existing, new and emerging technologies to reduce it. Named the Scam Technology Project, the operation will be supported by representatives of the ACCC and the Australian Cyber Security Centre. "Scam activity is highly organised, increasingly sophisticated and undermines consumer confidence in communications services," said Fiona Cameron, chair of the project's Reference Group. "This project will investigate what can be done to disrupt scam communications activity, including possible consumer or network-based solutions like call blocking and network traffic authentication protocols." ACMA's effort was meanwhile welcomed by the Telecommunications Industry Ombudsman. “Having access to phone and internet services is an important part of daily life for all Australians," Ombudsman Judi Jones said. "Scammers take advantage of our need to be connected, and this is an issue for both the telco industry and consumers. "The announcement by the ACMA and supporting agencies is a positive step toward protecting our telecommunications networks and we look forward to contributing to this project."